We have a new contender for Wildest Decision Maker In The Global Auto Industry and it’s Evergrande Health. Fresh from hopping out of being the backer of Faraday Future, Evergrande just dropped $930 million to take control of another electric vehicle company: NEVS. That’s right. Zombie Saab. It’s like the Recession never ended. Those of you who love self-flagellation may remember following the prolonged quasi-death/quasi-rebirth of Saab, the carmaker that refuses to stay in the dirt. Saab, of course, went bust back in 2012, having sort of thrashed around for two years after GM cut it loose. Spyker was involved. It was weird. 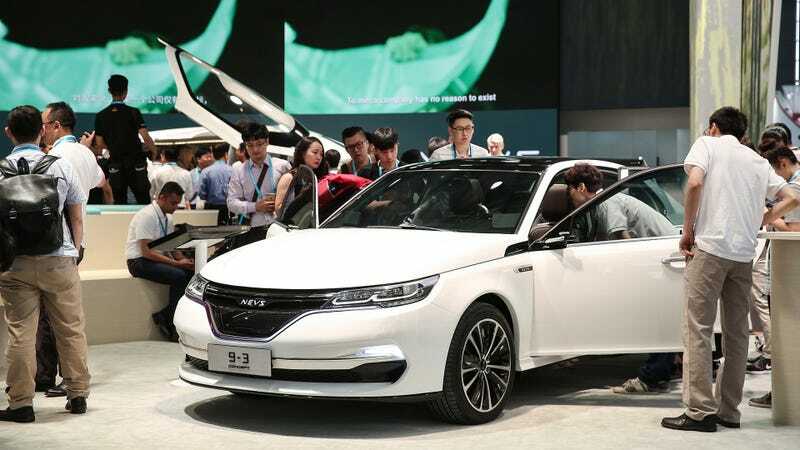 In any case, a Chinese consortium oh-so-cleverly branded as the National Electric Vehicle Sweden (NEVS) picked up the rights to Saab, which it held until 2014 at which point it... things got weird again. There was another bankruptcy filing, there were new Chinese backers, production moved from Sweden to China and the old Saab 9-3 kept getting made, just with NEVS branding. NEVS’ planned 9-3 update, in wagon form. I was going to joke that that all sounds super straightforward, but honestly it does in comparison to Faraday Future, whose business dealings I can no longer keep straight no matter how hard I try. The developer will use its subsidiary Evergrande Health Industry Group to pay US$930 million for 51 per cent of National Electric Vehicle Sweden (NEVS), according to a statement to the Hong Kong stock exchange, where it is listed. Evergrande Health has paid first installment of $430 million on Tuesday, while the remainder of the transaction will be completed by the end of January, according to the statement. China Evergrande also said it agreed to provide a three-year $1.1 billion unsecured loan to Evergrande Health. I keep wanting to call this an out of the frying pan into the fire moment, but again, anything seems stable in comparison to FF. I would also say that I am looking forward to seeing some more of these zombie Saabs get into production but my heart has been hurt to many times. No longer do I dream that the Saab Phoenix will go into production. Do not remind me. I’m not crying.